The snow does not seem to want to linger on the ground. The locals keep describing a winter that I fear does not exist. I would love to see the rivers and lakes frozen over for ice skating to occur. I would love to be forced to carry my shovel in my car with me everywhere I go because even a short run into the grocery store could require it’s use to free my car from snowy mountains to return home. The truth of the matter is that I was hoping to have South Dakota levels of snow – I set the bar too high. It is currently wet and snowing now, but it is not nearly cold enough for it to stay. The weather states that the snow should not let up till Monday, but I have lost all hopes in snow cream, snow men, snow angels, snow forts, snow ball fights, sledding, and so forth. At least I can still enjoy my winter lagers, close my eyes to imagine a white covered land and dream. Last weekend we went to another Girl Scout event at the local university and it was mildly disappointing. PBS is launching a new show about getting outside and adventuring. It is a whole show about being outside, exploring, learning about nature for yourself, but you have to be inside glued to a TV to watch it. Just seems a bit ironic. They did have bird experts from the Raptor Rehabilitation Center with birds that they have rehabilitated. They also had a few crafts to do, including making your own bird feeder. I think all the “extra” things would have been enough. We are in Girl Scouts, we aren’t supposed to learn about watching TV! Tonight we have another Girl Scout event. We are going over to the local universities Planetarium. I am not sure what they will do with the stars hidden behind thick, gray clouds, but I am sure they have some sort of back up event. Either way, the girls are just excited to have an event that is all their own. 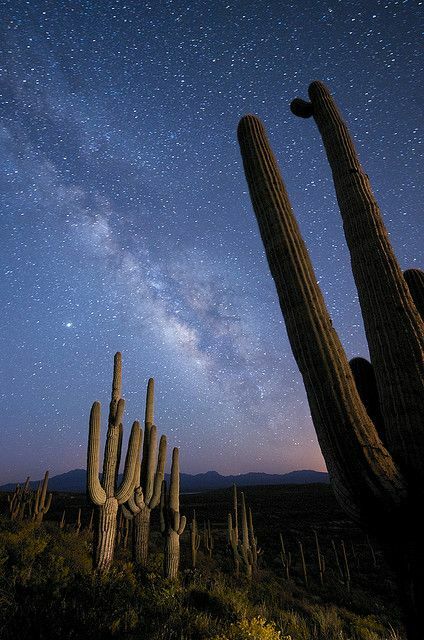 I can not wait to go and look up at the stars, but I fear it will stir up some desert longing. Never have I seen a sky match the dark, vast, openness of the desert. It is a sight that I am lucky to have stored away in my memories. I remember one afternoon when driving the highway we pulled over to take in the stars and the milky way. It was overwhelmingly beautiful and a sight that is rare to find in these pine covered mountains. It is nice to have memories of all the places that I have come into contact with. I like being able to reminisce on the good things even in the most undesirable locations I have lived. Too often we forget that this one country has plenty of different landscapes, traditions, foods, cultures, etc. You just have to go find them. I have met so many interesting people from all corners and sides and middles of this country who all have an unique way of life to share. Get out in the world and explore!